What is the cost of new countertops? The price varies based upon the stone chosen (different stones have different wholesale costs), the edge profile ( some profiles involve much more work and are consequently more expensive), site access and kitchen configuration. Most average size kitchens vary between $70-90/square foot of countertop with quartz products starting at $110/square foot. and the average total cost is between$4,000 – $6,000 installed. What care and maintenance do I need to follow? Granites and Marbles should be periodically re-sealed with a high quality stone sealer to maintain their resistance to staining. Counters should be de-greased with a mild dish soap and left to dry 24 hours before re-sealed. Deeper stains may require expert assistance to remove stains. Re-sealing should be done every 6 months for lighter colour stones and once a year for darker stones. For everyday cleaning avoid harsh chemicals,such as bleach or bleach based cleaners, ammonia (i.e. Windex), vinegar, or CLR. Use mild soap solutions. Quartz based products advertise that they do not need sealing. Honing a stone removes the surface polish and produces a matte finish. This look is currently contemporary. It is beneficial to hone marble when it is used in kitchens as polished marble is prone to become etched if anything slightly acidic is left on the stone. Etching leaves dull ring marks in the stone. By honing, the polish is removed and this problem is avoided. Honing marble also allows scratches to be sanded out. Some granites are also amenable to being honed – with honed absolute black granite being particularly popular. Quartz surfaces can also be honed. What are the advantages of Quartz surfaces? Quartz products such as Caesar stone and Sile stone are man made with 93% natural quartz ground up with added colours and epoxies. These products do not have pores like granite and hence do not require sealing. These products are also able to span greater unsupported lengths than granite. As they are manufactured they may be produced in colours that are consistent and solid and in some cases match the lighter colours of limestones and marbles – but with greater durability. 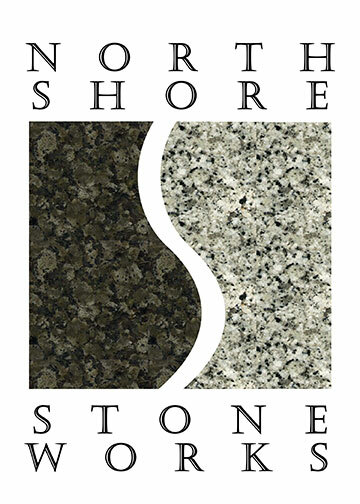 For scratch resistance, most granites have a slight advantage over manufactured quartz surfaces. Why do joint lines look visible? Some stones chip when cutting. Hence joints need to be beveled to create a straight looking joint. This results in the appearance of a larger joint. Glue coloration and stone characteristics can also impact the appearance of a joint. Why do my counters require seams? The average size of most granite slabs range from 5 1/2 feet by 9 feet. The physical limitation of slab sizes and installation practicalities require joints in counters. The location of joints should be discussed with your stone fabricator. Why choose ¾” material vs. 3 cm thick material? Some edge treatments, like bullnose edging look better with the additional edge thickness provided through using ¾” material doubled on the finished edge. Some stones look better using solid 3cm material as laminating the front edge results in a visible laminated line. What stone thicknesses are available locally? The most common stone thickness locally is ¾”. The most common treatment of ¾”material is to laminate another ¾” strip to the front finished edge of the stone resulting in a visual appearance of 1 ½”. The underside of the counters are filled in with ¾” thick plywood laminated to the stone. About 30% (and increasing) of the locally available material comes in 1 ¼” or 3cm thickness. Usually 3cm material is solid all the way through with no laminated edge. Locally available stone is sourced from all over the world. Many come from Brazil, Africa and India. A number of stones are Canadian but are processed overseas and imported back into Canada. In the lower mainland there are close to a dozen wholesalers who import finished slabs and also there are two processors who cut slabs from granite blocks. Are cheaper stones of a lower quality? No. Some very expensive stones are actually more fragile than some less expensive stones. What drives the pricing of various stones? Like any commodity, supply and demand drives the pricing. Some stones are commonly available in great supply and hence their price is lower. Some stones have limited supply with high demand. Hence their price is higher.